When Walmart warns President Trump about his trade policy, does he listen? This is no academic question, as the president exercised his legal authority to hike U.S. tariffs of 10 percent on $200 billion of Chinese imports, climbing to 25 percent in January 2019. "China has been taking advantage of the United States on Trade for many years. They also know that I am the one that knows how to stop it. There will be great and fast economic retaliation against China if our farmers, ranchers and/or industrial workers are targeted!," he wrote Sept. 18 on Twitter. 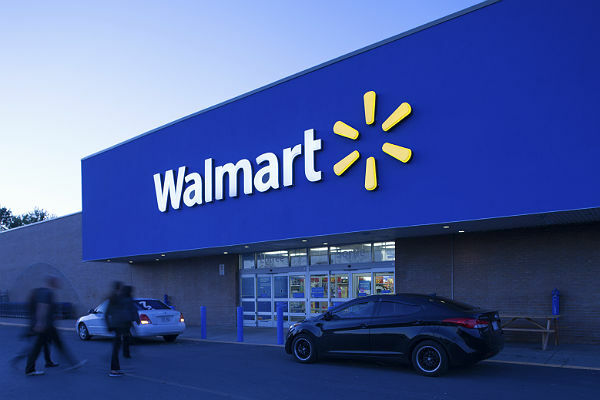 On Sept. 6, Sarah F. Thorn, senior director for global government affairs with Walmart — the U.S.’ biggest private-sector employer — wrote to the United States Trade Representative in a letter, "The immediate impact will be to raise prices on consumers and tax American business and manufacturers." The Chinese government is not sitting still. It has reacted to the third round of President Trump’s tariffs by imposing levies of $60 billion on U.S. exports. What does this tariffs spat between the two nations mean? MultiBriefs spoke by phone with Dan Ikenson, the director of the Cato Institute’s Herbert A. Stiefel Center for Trade Policy Studies in Washington, D.C.
What explains the president’s trade policy that hikes prices on the Chinese imports his low- and mid-income base of voters buy now and will purchase during the holiday buying season and midterms? "His tariffs on Chinese imports seem to make no sense," Ikenson said. "President Trump appears to be following the advice of advisers such as Wilbur Ross, the Commerce Secretary, and Peter Navarro, a University of California, Irvine business professor. The duo see trade wars, e.g., tariffs as a policy to extract concessions, as winnable, a kind of zero-sum game whereby Team America wins and China loses." Ikenson explains that tariffs are taxes on businesses and consumers that harm rather than help to resolve trade disputes. Take businesses. U.S. imports are $2.3 billion per year. Roughly one-half of these imports are in intermediate goods that firms buy, e.g., components, machines and raw materials, from foreign nations such as China. When business pay higher prices due to tariffs on imports, they pass along the increases to consumers. Households’ cost of living goes up. Another possible motive for the president’s trade policy is to burnish his public image of standing up to China. Its economy has been the fastest growing in the world for years and is on track to surpass the U.S. in terms of gross domestic product in a decade or so. A Washington Post report, "China thinks the trade war isn’t really about trade," unpacks this idea. At the same time, according to Ikenson, the logic of using tariffs as a policy to force China to knuckle under to the White House’s demands of reducing the trade deficit between the two countries is a kind of “no pain, no gain” approach. That is, the short-term costs to American businesses and consumers is an uncomfortable but necessary step to long-term resolution of trade imbalances with China. The U.S. exports less to China than it exports to the U.S. "The 2017 deficit with China ($375.2 billion) was the highest on record," or the gap between exports and imports, reports the U.S. Department of Commerce. However, Ikenson frets more about President Trump’s trade policy than the deficit with China. "There is a reason that the past 13 U.S. presidents have pursued growth of global trade as a win-win approach," Ikenson said. "I am very worried about the trade war between China and the U.S. spreading to other countries."